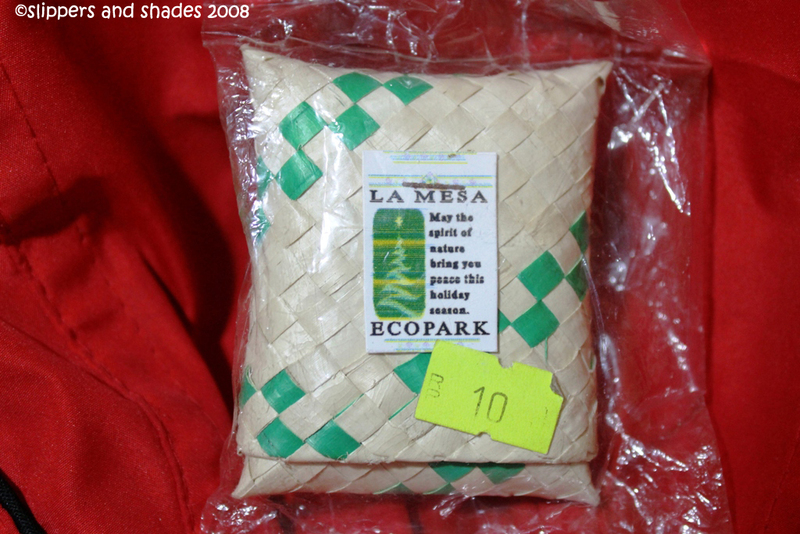 La Mesa Ecopark is within La Mesa Dam Watershed. 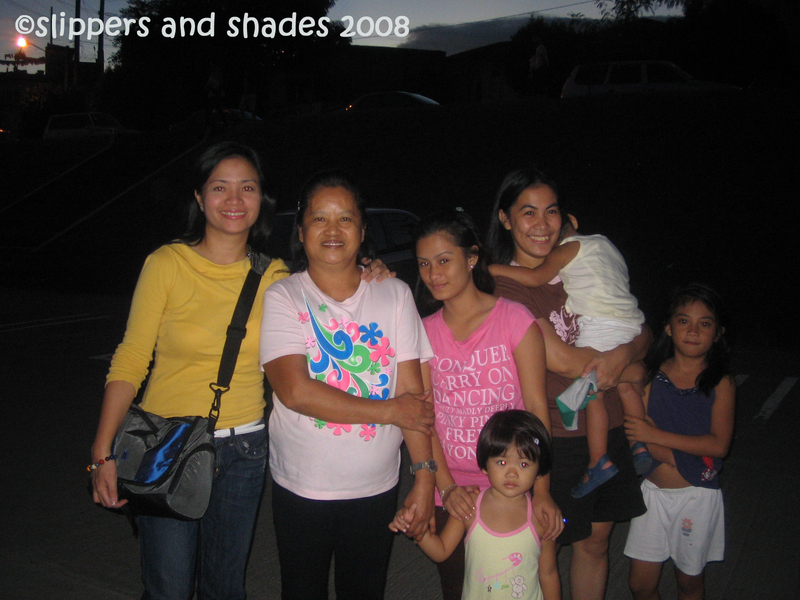 It is located in East Fairview Subdivision in Quezon City. Thanks to the joint partnership of MWSS, ABS-CBN and Quezon City local government for turning this neglected area to a well-developed park which is now an ideal spot for communing with nature and indulging in healthful outdoor activities. 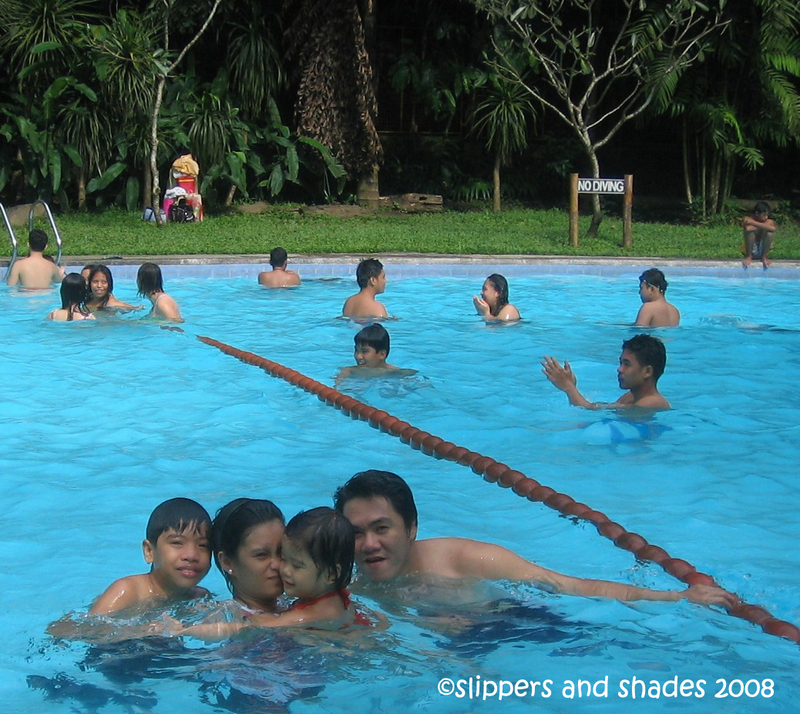 This is a perfect getaway for a family or group of friends especially on week-ends. 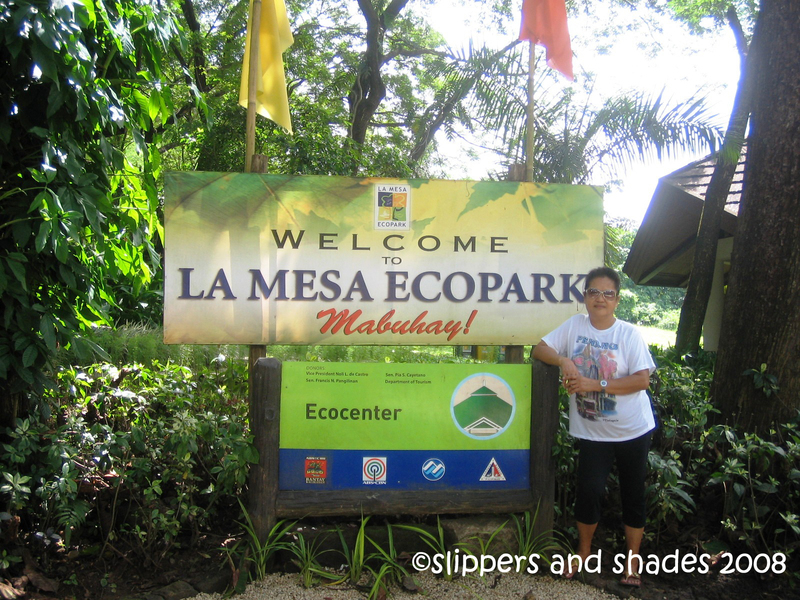 I came up with an idea to celebrate Mama’s b-day in La Mesa Ecopark for a change. It’s good to bring back the traditional family activity like we used to do in Luneta Park when me and my siblings were still little. What a child delight we had as we frolicked in children’s playground especially the slide in the shoe house and had our picnic on the grass. 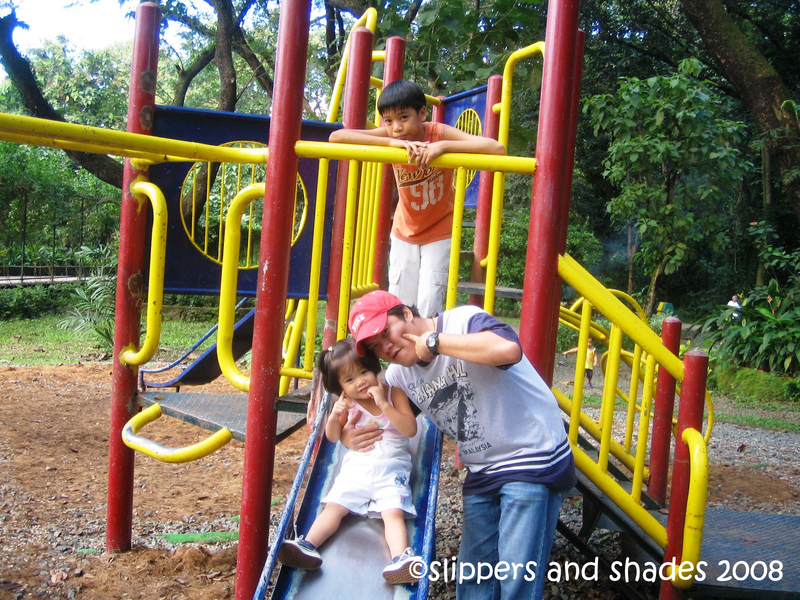 I want my kids to experience the simple joy of living and the serenity of spending the day in a park, a respite from the hustle and bustle of city life in Manila. 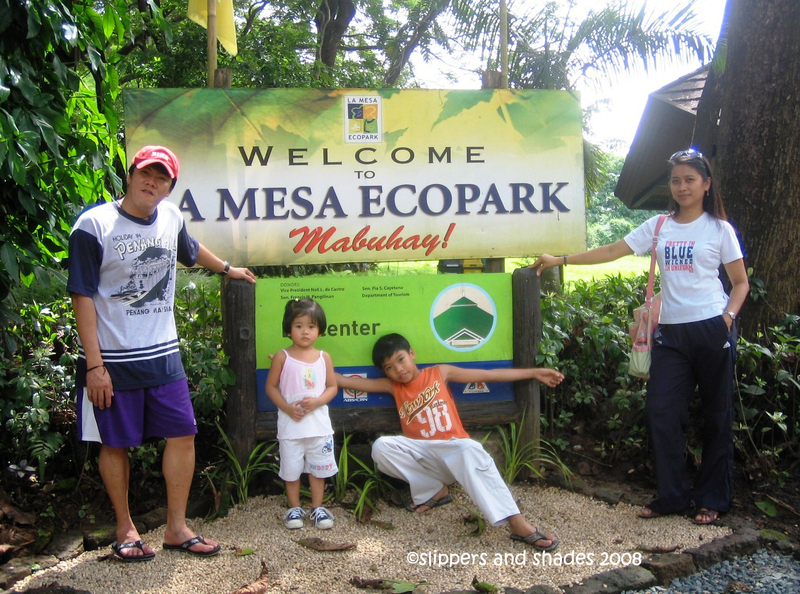 And I want them to be aware of the environment, as what La Mesa Ecopark envisions for the children. Entrance fee is P40. 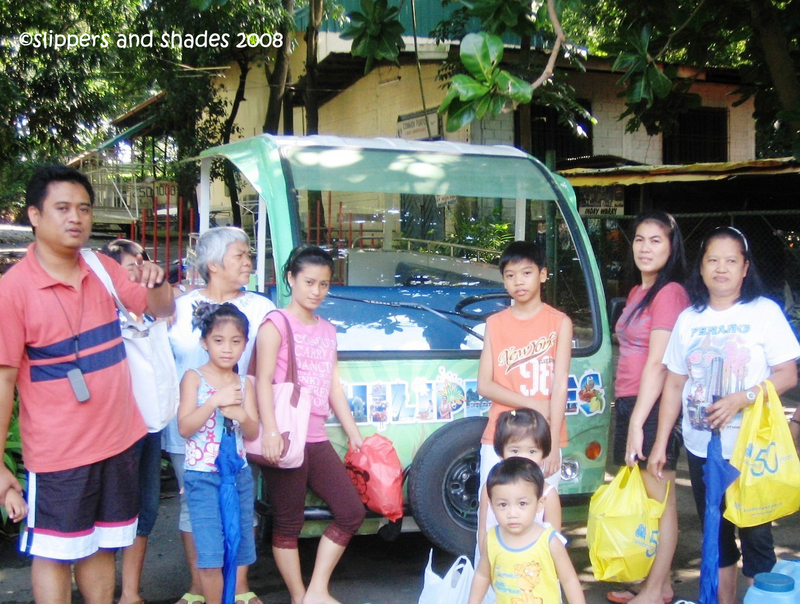 From the reception area, we rode in a multi-cab (powered by battery only) going to the park’s main entrance. 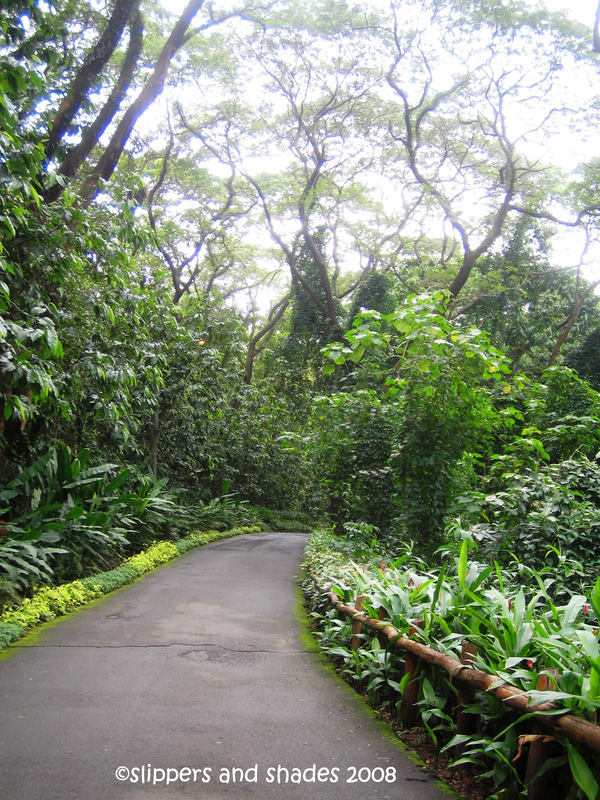 It was so refreshing as we walked on the walkway because we were greeted by the cool temperature provided by trees. It looked like we were entering a forest as we saw canopy of trees and healthy green plants lined up beside the asphalted road. We chose a table near the swimming pool and children’s playground. Our first activity was boating at the lake. Rate-P20/head. We enjoyed paddling here and there. There were ducks swimming everywhere. The man-made lagoon was so serene. 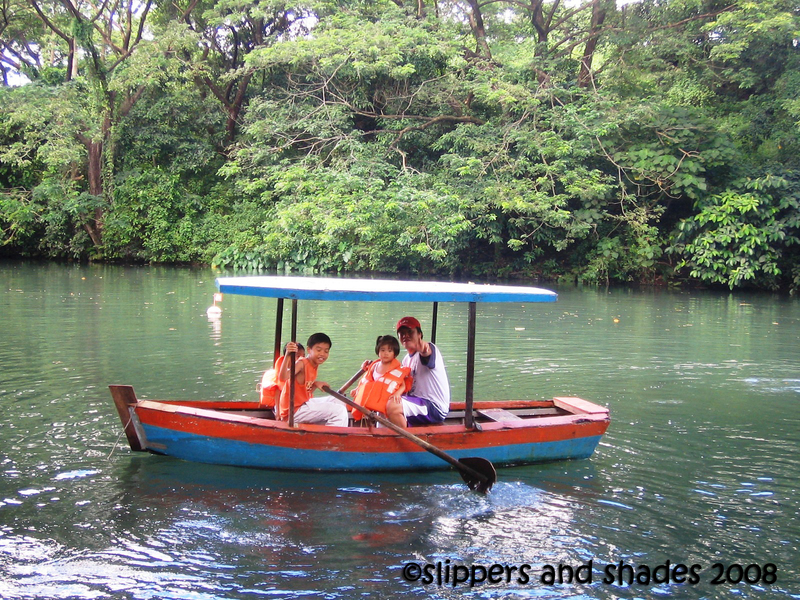 It was like boating in Burnham Park in Baguio City. Lunch was heavy. Nanay cooked a very delicious chicken adobo and pinakbet with watermelon and ripe mangoes for desert. After a minute of rest, we headed to the swimming pool. Rate-P80 per head. Kids were deadly tired after their swim. 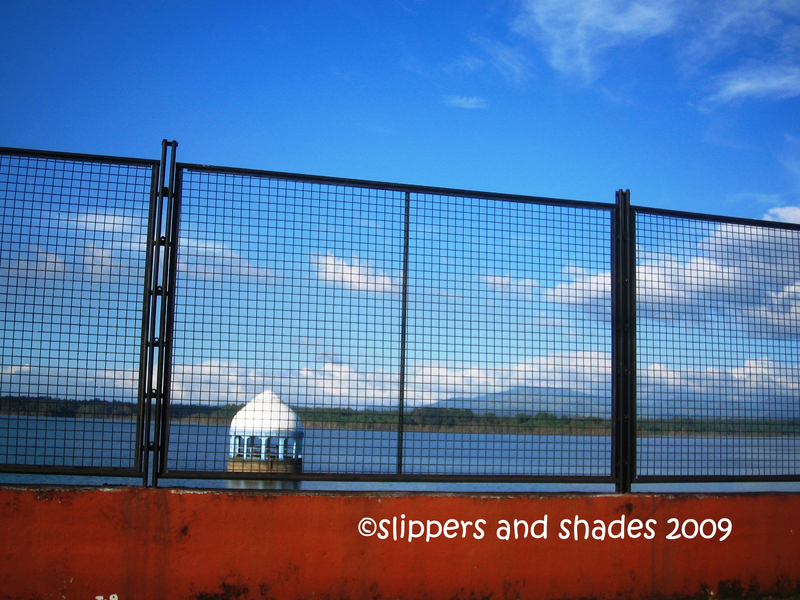 By afternoon we proceeded to La Mesa Dam Watershed which provides the primary source of water in Metro Manila. 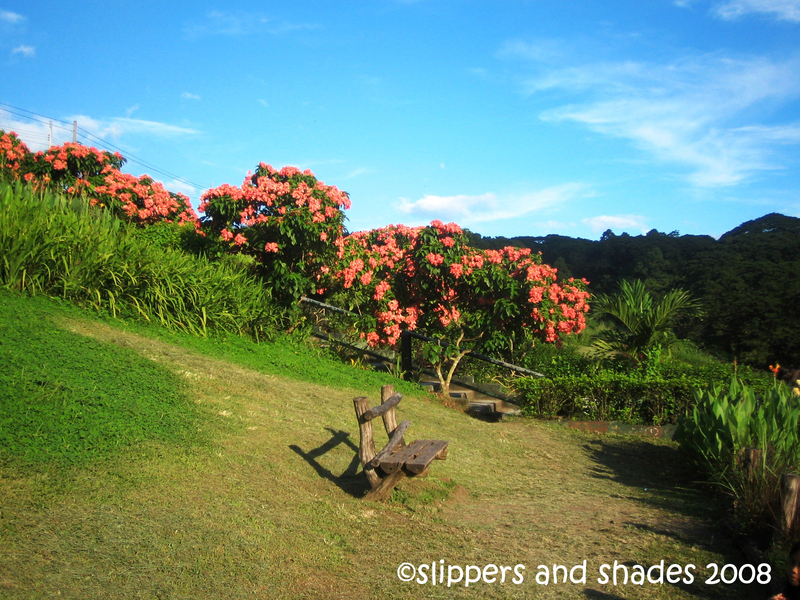 As we went up through the concrete steps, we were amazed to see a well-maintained grassy park. Visitors were allowed in the area. Only that, it is shameful to throw waste as it was really clean. We sat on the grass and even lie peacefully on it. We explored around when we went down. We saw the biking and the fishing areas but we didn’t indulge ourselves with those activities. 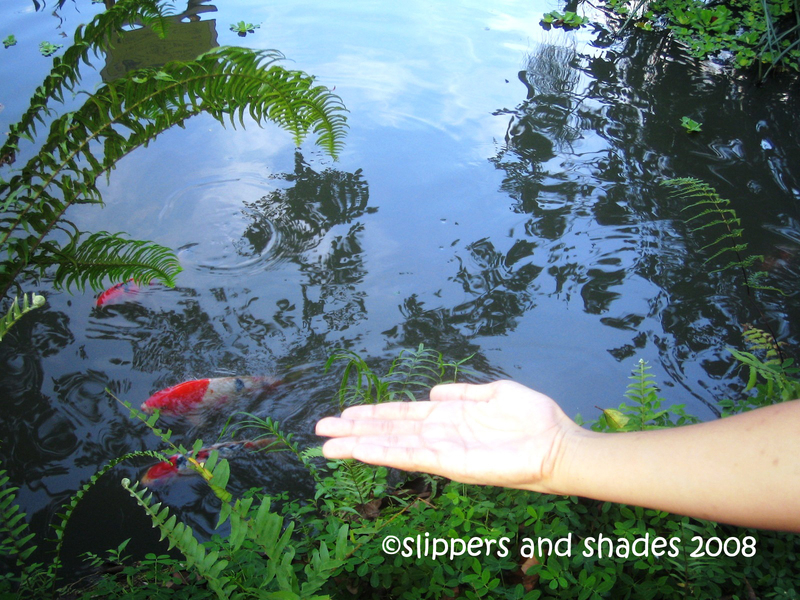 Pao was so engrossed watching poi fish at the fish pond. It was almost 6 pm when we packed up. We proceeded to Marikina Riverbanks to eat our dinner in “dampa” which according to my hubby, foods were relatively cheaper but tasty and fresh. As we parked our van, we saw an ABS-CBN field reporter accompanied by her cameraman preparing for their job. Mama was not ashamed to come close to them hoping that she might be interviewed. And she did! She was asked one question about the Halloween vacation. With all smile, she answered the question cheerfully and with so much confidence.hahaha! We had a heavy dinner with fresh grilled squids, baked tahong, grilled fishes and oh! manggang hilaw with bagoong in the long table. I was thankful because our little angels were satisfied eating fish. Pao had just love eating baked tahong. At night, we watched the much-awaited interview of our mother at the evening news report of Channel 2. Mama was really confident and cheerful on screen as she answered in front of the camera. What a wonderful nature adventure we had for the day. We all had fun.